If you’re new to interior design and decor it’s common to feel overwhelmed, unsure and confused – especially when it comes to making the right decisions for your rooms. There are so many choices today in styles, colors and materials… and it can be just plain hard to know what will work and won’t work in your space! 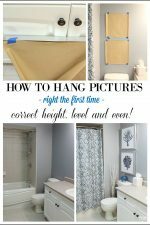 I recently was asked by Cottage and Bungalow for my ‘do’s and don’ts’ advice to help beginner interior decorators and designers …..and guess what? A design infographic was made with my tips and name in it! How funl is that? This is a first for me – and I’m extremely excited and honored to say the least! This infographic includes the fundamentals of home design and decorating, decorating styles and some helpful decorating ‘rules’. Do: Decide what functions and feeling you want your room to have before you start decorating the space. If you want the space to function as a home office you may need to find room for a bookcase and obtain more storage for office supplies. Want your room to feel cozy? Add lots of comfortable textiles to the room! 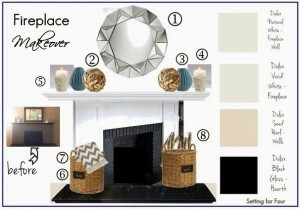 See my 7 tips to decorate a living room from start to finish and see step by step how to get the designer look! Don’t: Don’t select wall paint colors at the paint store! 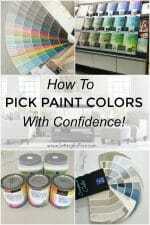 The color on a small paint chip will look entirely different in your home compared to how it looks in the paint store. Buy a small test sample and test it in your room before painting all the walls. See my 60-30-10 color rule design tip to choose the right colors that balance and flow. 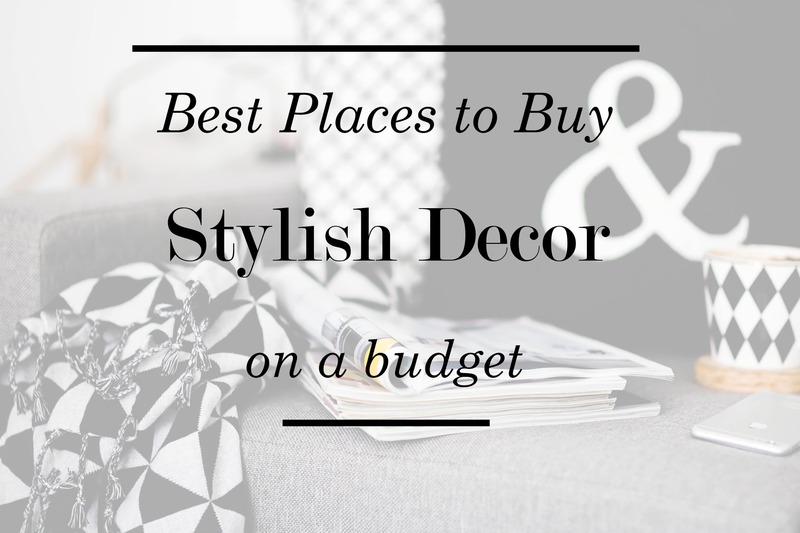 Did you find this design and decor information helpful? What do you struggle with when it comes to decorating? Paint colors? Styles? Please share – I’d love to hear it! 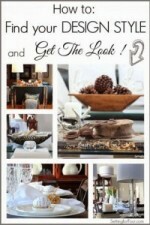 Find your Design Style and Get the Look! Thank you so much for breaking things down so they are brief and understandable for the lay person. I have so often been intimidated when looking for design help by the books that only cover one part of the whole. You are a life saver!